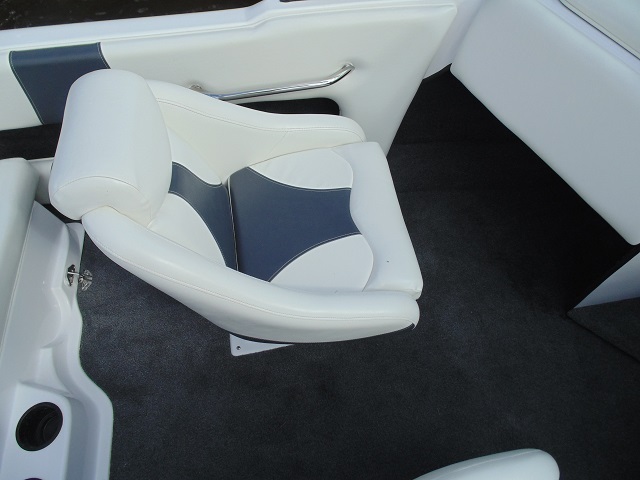 There is space under all the seats with enough room and length under the passenger bench seat for a boom and hylon. with GPS Speedometer and analog gauges. 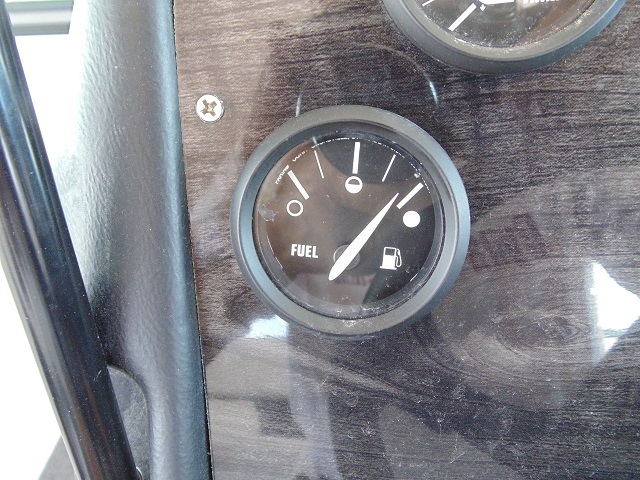 The dash can be filled with 4 of these ICON gauges and you can program all of them for different things if you desire. Most boats have 3" GPS Speedometer, 3" System Check Tachometer, 2" analog fuel, trim and water pressure gauges with a 2" programmable ICON gauge or 2" analog voltmeter. 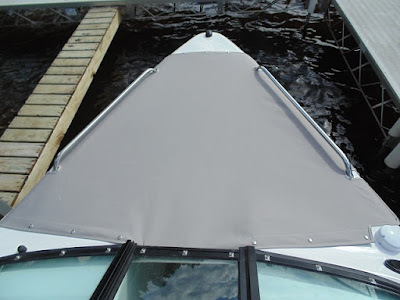 which requires a transom mounted paddle wheel pickup. 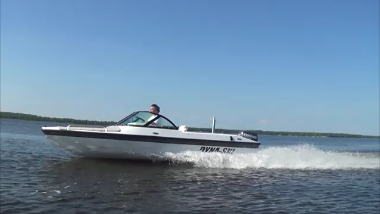 Dyna-Ski 17.6 Open Bow tows easy even with my wife's old Escape. Several years ago we built a Dyna-Ski very similar to this one. 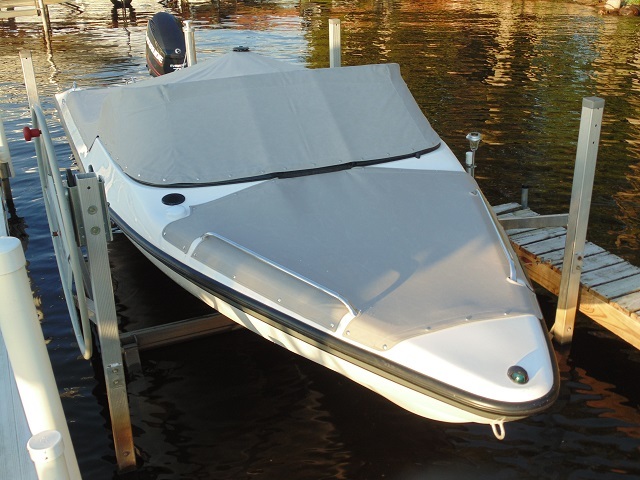 The water skiers that buy these lower powered Open Bow 17.6 Dyna-Ski Boats often live on smaller lakes with size and/or power restrictions. The 7' wide boat is US Coast Guard rated for 5 people with a maximum of 150 hp so most buyers go with a 135 HO or 150 hp 6 cylinder engine. 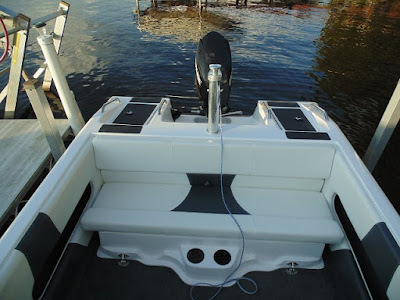 This post will be mainly about a 17.6 Open Bow with a 75 hp Evinrude motor built for a customer. which looks much bigger than the 75 below because it is. 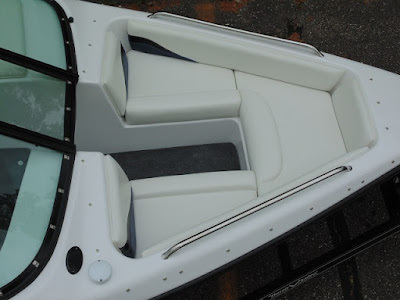 We built the first Dyna-Ski boat with the 75 hp motor several years ago but I really didn't have enough time to fully test it out as the owner like most owners was in a hurry to get his new water ski boat. Once the owner got it I never heard another word from him which is typical. I guess we did a good job? Fully testing out a boat now means taking lots of pictures, videos and running the finished combination as the owner will use it so pulling a wide variety of skiers during final water testing. The owner of this Dyna-Ski was nice enough to give us more time with the boat and motor combination which again is somewhat unique with only a 75 horse power two stroke motor powering it. 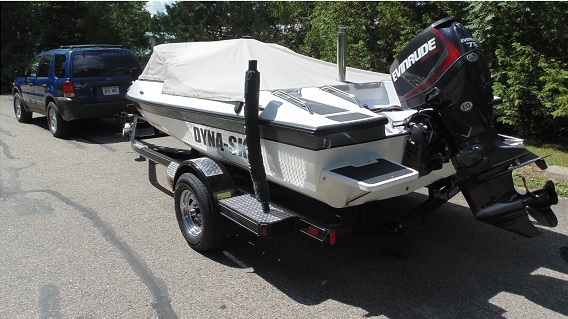 This Dyna-Ski boat is headed to Texas. First of all I wanted to find the best prop with the 75 hp motor for the owner. The BRP factory suggested maximum operating range of the motor is 4500 to 5500 RPM's. 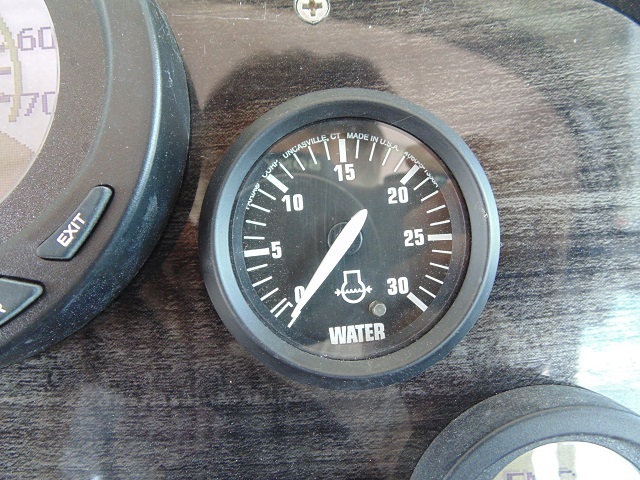 I like having the boat operating at the upper suggested limit at wide open throttle. Turns out the best prop is a Mercury Quick Silver Prop that is 13" pitch and 14" diameter. 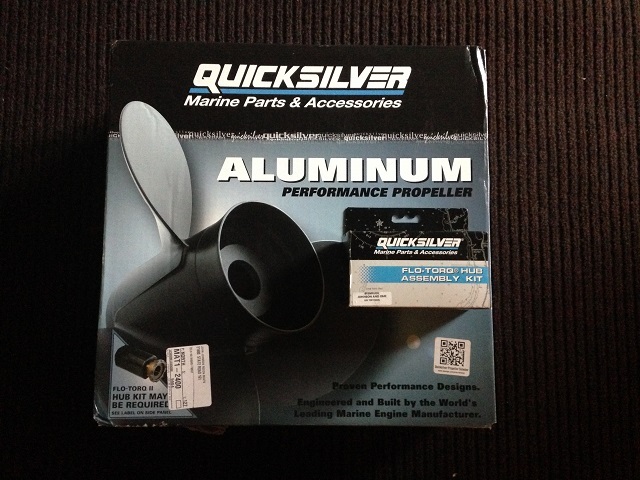 The part number is QA3832X which needs a hub kit to work on an Evinrude. 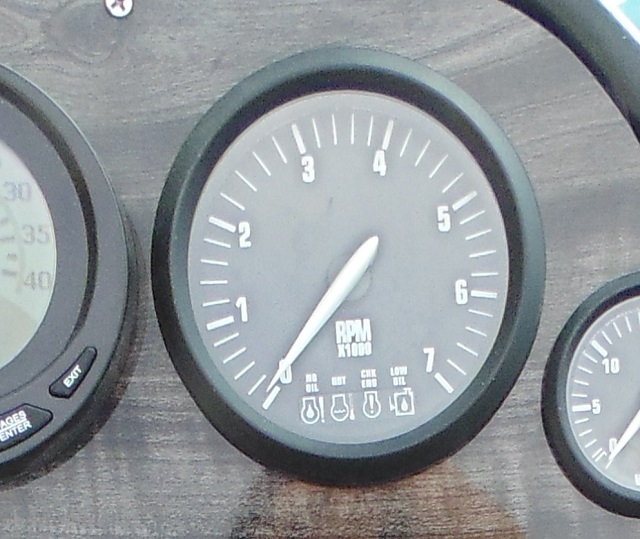 The prop gave us a top speed of 36 mph on the GPS Speedometer at 5400 RPMS. 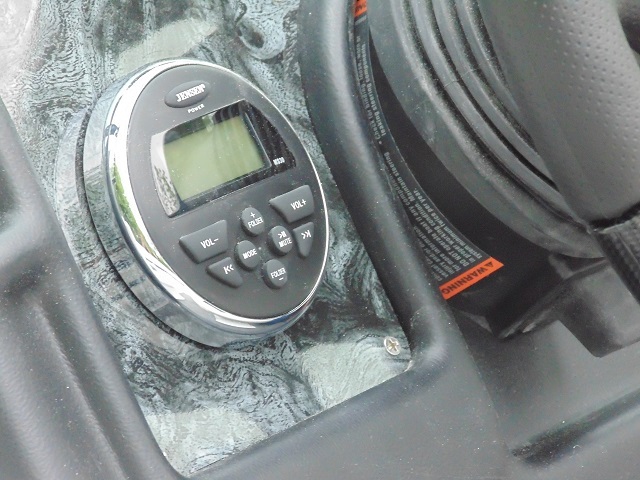 Having the optimum combination on a low horsepower boat is important. The Evinrude three blade 13" by 13" prop went 32 MPH on the GPS at 5500 RPMs with more throttle available and the 13" by 15" prop went 36 MPH but at only 5200 RPMs. These both were aluminum props as the stainless steel props did not work as well even the four blades. If you need a new or spare prop I have some good prices on them. 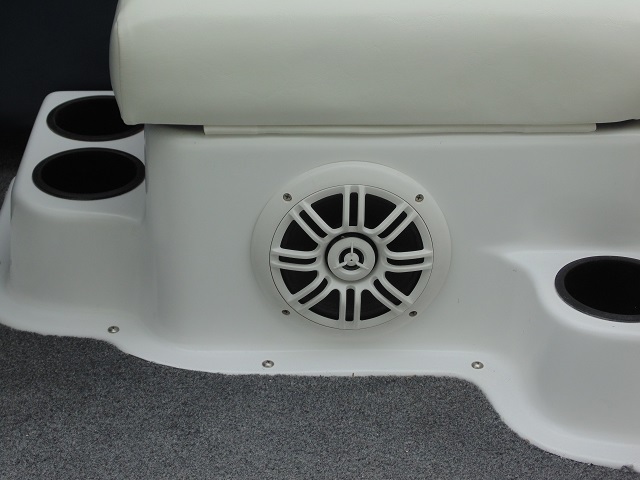 Customers could use a larger selection of props suitable for water skiing in the 12" to 19" pitch range for the 3 cylinder, 4 cylinder and even the 6 cylinder motors. Fortunately I have a lot of new and some old props to try but I usually don't get the chance to really fine tune a unique combination. Another option is to have a custom prop shop like BBlades fine tune your prop. It is not cheap. Their experience can save you time and money vs trial and errors. Most sellers won't take back a used prop. The first thing my primary test team (wife, son and me) noticed is the wake is even smaller than a 17.6 Open Bow Dyna-Ski with a 150. No doubt the 100 lbs less the 75 hp motor weighs makes for the big difference as everything else is the same weight as a 150 equipped Dyna-Ski. The smaller prop (or is it the fewer cubic inches of the motor?) 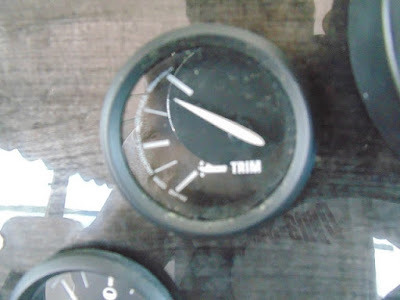 seems to make the motor bubbles (exhaust bubbles) almost non existent. The 75 hp, 320 lbs. 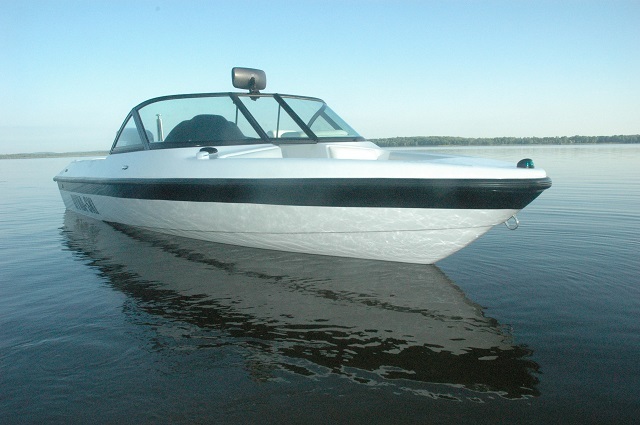 inline 3 cylinder 79.1 cubic in motor had good torque and held all the skiing speeds well. Evinrude uses the same specifications to get 90 hp on a different model engine. The boat with the 75 hp motor isn't fast out of the hole but remember it is only 75 hp and the people that buy these limited power boats are usually restricted by things they cannot change. Fuel economy seems very good but we have not been running it hard or at the upper limits of its maximum speed for the bulk of the water skiing we are doing. Note: A person cannot load up a low horsepower water ski boat with people and expect to pull water skiers besides easily. It would be interesting to try a Mercury 75 hp Optimax motor as it is also an inline 3 cylinder but it has 93 cu in and weighs 375 lbs. 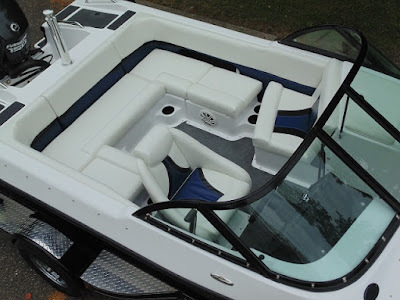 Mercury uses the same specifications to get 90 hp, 115 hp and 125 hp on different models. The Mercury 75 hp EFI four stroke is as an inline 4 cylinder 105.7 cu in motor that tips the scales at 399 lbs. Additional models available with the same specifications are 90 hp and 115 hp. From my seat of the pants experience four strokes are a little slower out of the hole and on top speed than two strokes. However horsepower is horsepower and hot rodders will tell you more cubic inches is better as often more torque is produced with more cubic inches and the same horsepower. 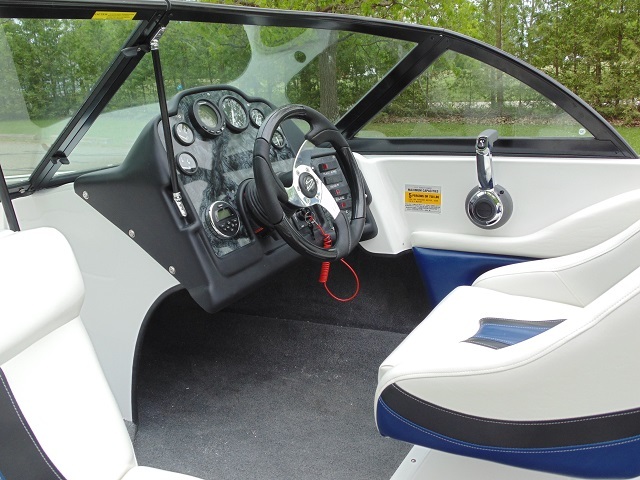 Water ski boats like more torque. Torque is pulling power. More horsepower usually gives you higher top speeds. Maybe with time and money spent trying different props there may be no difference in the end. 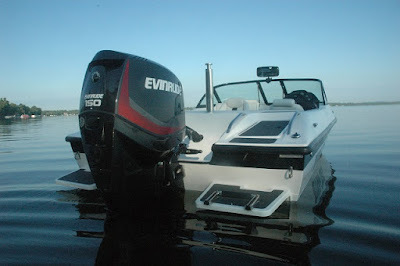 I've done some testing in the past with an Evinrude 90 and 115 two stroke but have not done any lately largely because no one has ordered a boat with either size of motor or a Mercury 75. 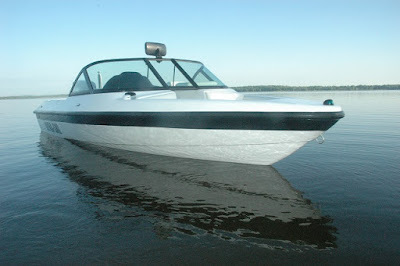 I have decided I need to more thoroughly water test all the Dyna-Ski boats, take more pictures and shoot more video! So look for more Dyna-Ski pictures and videos in the not to distant future I hope. If you make your own videos let me know and I'll share the links with readers. I also love pictures to put on the blog and website. I've had almost 67,000 page views in the four years or so I've been operating this little blog. Lower horsepower boats do not need more expensive hydraulic steering but the boat still has everything else including a recessed control and dash full of gauges. 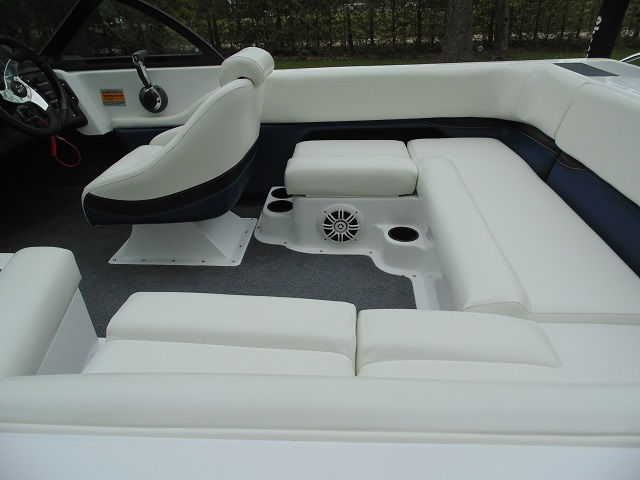 Now you know we produce a 17.6 Open Bow model that is a decent water ski boat with only a 75 hp motor! Everyone's prices go up every year and interest rates are still low. Our price increases are more than typical borrowing interest rates so buying and enjoying the boat now makes fiscal sense. Credit Unions tend to have the lowest interest rates and Home Equity loans can be written off on most peoples taxes. What are you waiting for? 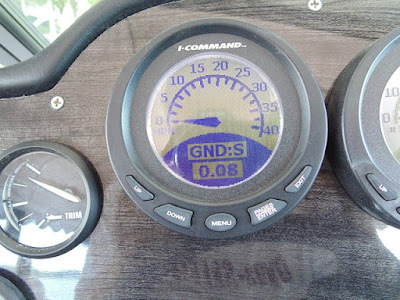 Speed Control or "Perfect Pass" type of System on an outboard UPDATE. IT IS AVAILABLE NOW! 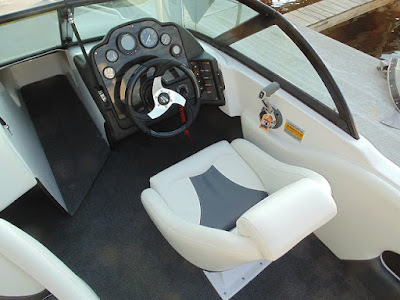 There have been more and more people shopping Dyna-Ski Outboard Boats that are interested in "Perfect Pass" which is a term we use to describe speed control or cruise control on a water ski boat. 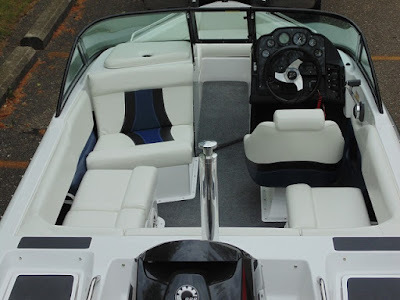 I decided with some prompting it was time to check into what is available (again) for myself and people interested in Dyna-Ski Boats. Perfect Pass apparently has not done anything new. 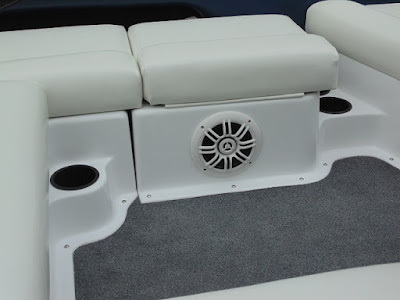 The Perfect Pass system for outboards requires the buyer to fabricate a bunch of stuff on the motor end under the motor cowling to make it work. Not a simple project at all. Greg Hind from Down Under has made it work on the big three outboard brands. A couple US Dyna-Ski customers have made it work but they are all tight lipped about it. It is mechanical system. Mercury Marine has a system available on their Digital Controlled Outboards (DTS) which means their four stroke Verado line. The Mercury system is called Smart Tow. I checked into it and WOW. It seems they have not really promoted this product at all to water skiers. 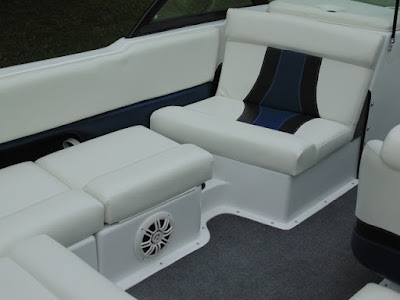 There is only one true tournament style outboard boat manufacturer (Dyna-Ski) and this is the first time I put my nose to the grind stone, kept asking, calling and emailing. Obviously they had not told me either until now. Mercury developed it and it is readily available now and has been for awhile. Few people know much of anything about Smart Tow even at Mercury. 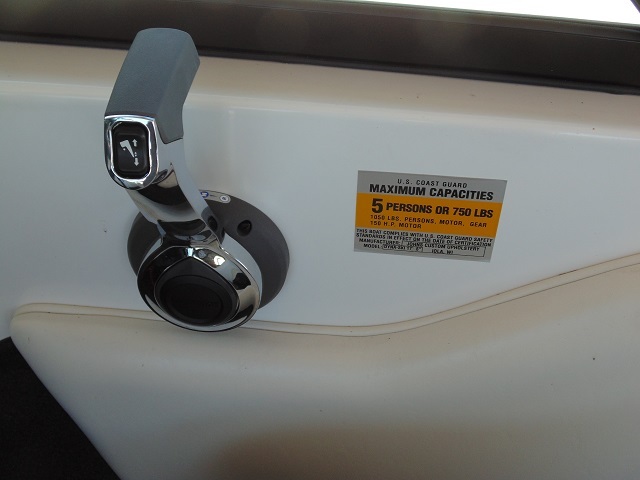 Smart Tow has several levels of upgrades including one for Zero Off. I'm still researching what the Zero Off system adds and how it works. The Mercury SC1000 Smart Tow system has pre programmed launch controls. Once the skier is "launched" onto the water the driver can set the speed the skier wants. RPM's, GPS or a paddle wheel pickup data is used to monitor the speed. Stepping up to the Merc Monitor allows the operator to custom make launch profiles, save and use them. Mercury suggests power steering with their Verado outboards. 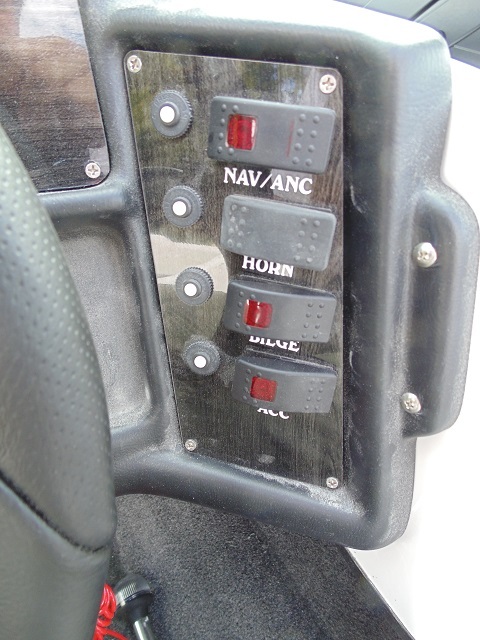 Launch Control: Sets and controls the speed of acceleration from idle to set cruise speed for Smart Tow Tachometer and Speedometer. Cruise Control: Sets and controls the speed of the engine for cruising on Smart Tow Tachometer and Speedometer. Here is a link to the Mercury website on Smart Tow. There are lots of pages. Second address is the pdf file. You'll have to cut and paste it into your browser. There are a couple blank pages at the top. Cruise Control starts at page 87. Launch Control starts at page 91. 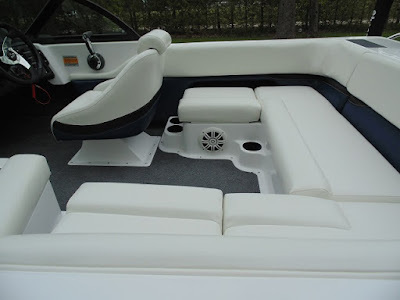 20’ Open Bow Boats are very good water ski boats with 200 HO Evinrudes and 200 Pro XS Mercury motors. Most people order larger engines. 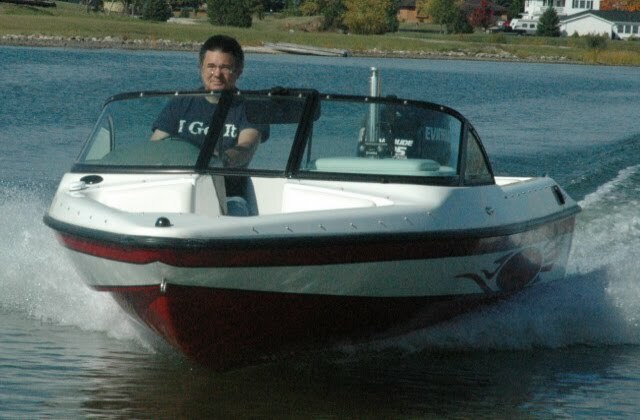 Up until now we have only built a couple Dyna-Ski Boats with four stroke engines. I think this might change. Sadly the Verado line of engines starts at 175 hp so Smart Tow isn't an option yet for a Dyna-Ski 17.6 Open Bow as the US Coast Guard limits us to 150 hp on that size of boat. Many people like a 17.6 as it fits better in their life which means garage, boat house, boat lift, lake restrictions, budget, etc. 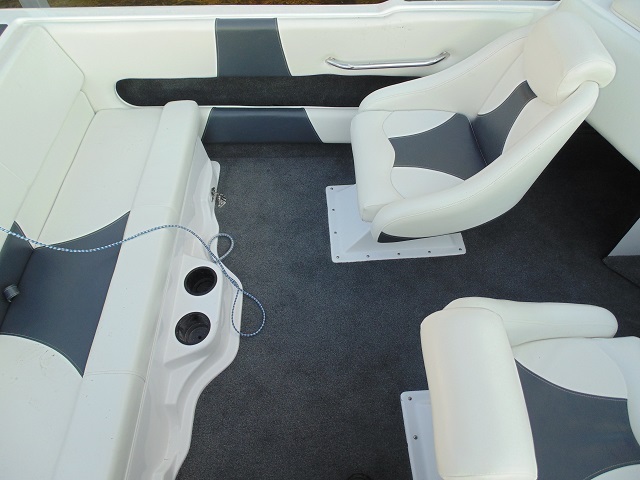 The Dyna-Ski 20' Open Bow and 20' Barefooter are excellent all around water ski boats. 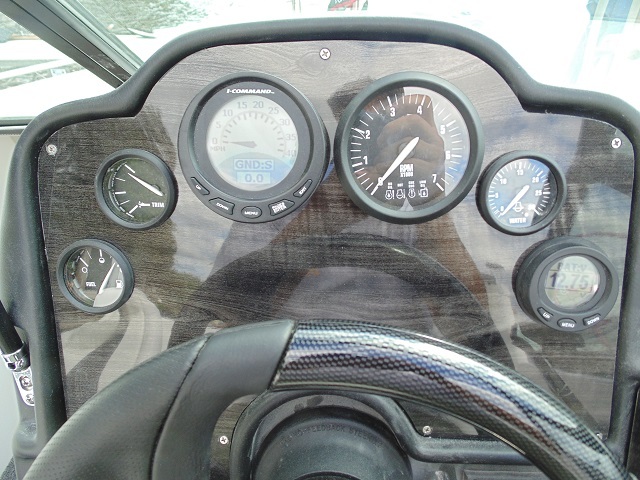 I personally have pulled 5 barefooters at 45 mpg on the GPS Speedometer with a 200 HO Evinrude and 2 people in the boat. 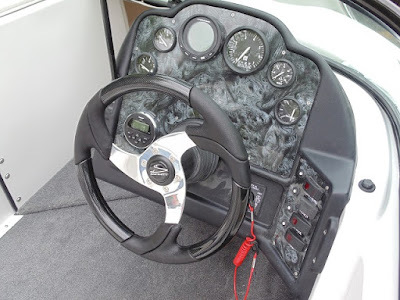 I also have personally pulled 5 barefooters at 45 mpg on the GPS Speedometer with a 250 HO Evinrude with 7 people in the boat. 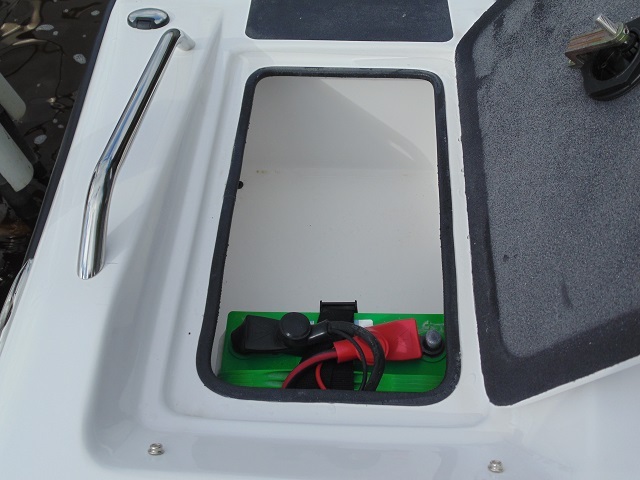 Now the perfect speed control solution Smart Tow is readily available on an outboard powered Dyna-Ski Boat. Hurry before the waiting line is 6 months long . . . . . . . .